Iraqi protesters burn the Iranian Consulate in Basra, Iraq September 7, 2018. In recent days Iran has increased its grip on Iraq. Iran uses Iraq as a piggy bank while it steals water and electricity from Iraq and uses Iraq’s roads as passage for smuggling, munitions and the illicit drug trade into and out of Syria. Iraq has great challenges already which are only exacerbated by Iran (and to a lesser extent Turkey) looking to exert great control over Iraq and its great wealth and resources. In this article, I will take up the water issues so acutely affecting Iraq. “Water, water everywhere and not a drop to drink . . . .” These words from the Rime of the Ancient Mariner by the English poet Samuel Taylor Coleridge were penned to describe the plight of a man at sea dying of thirst and knowing that the sea water would kill him if drunk. It also describes the situation in the Middle East and the purposeful deprivation of water to Iraq by Iran and Turkey. The twenty-two Turkish dams being built on the Tigris and Euphrates Rivers in Turkey are largely responsible for the thirst in Iraq today. In its lower extremities near Al Amarah in Maysan Province where I lived for two years, I am told that the great Tigris riverbed is dry. One of the great rivers of the world is all used up long before it reaches the Shatt al Arab on its way to the Arabian Gulf. If Turkey was just developing a hydroelectric system, the reservoirs would fill in a short time and the ordinary flow to Iraq would resume. But Iraq rightly fears that Turkey is also damming the Tigris and Euphrates for agricultural and domestic consumption. If this is so (which it almost certainly is) the flow will never return to normal and the dry Tigris will be an annual, if not a permanent condition. Iran is also choking its many and considerable tributaries to the Tigris in Iraq as well and not allowing the ordinary flow of water into Iraq. Because of its neighbors, Iraq is dry and thirsting for water. 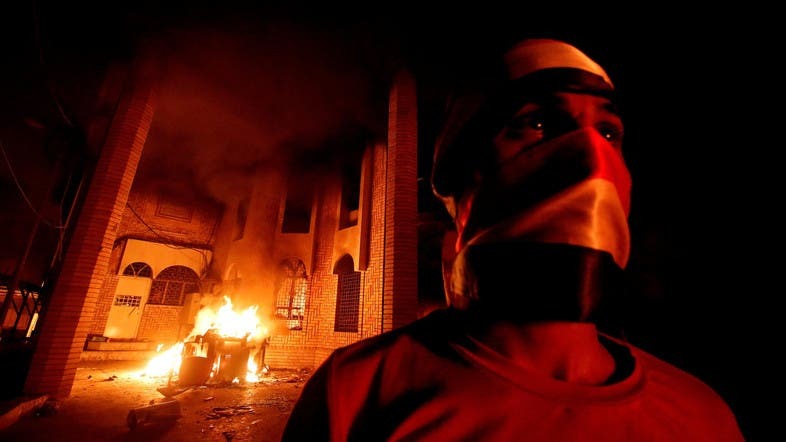 In Basra, there has been recent rioting over a lack of water and electricity. The Government Headquarters was burned to the ground. There is no relief in sight from either of its neighbors Iran and Turkey. Ordinarily able to feed itself – a singular achievement in the Middle East – Iraq’s agriculture sector is similarly profoundly damaged by the lack of water and privation as well as thirst will surely follow. At a time before Saddam Hussein, the marshes throughout the South of Iraq provided not only a watershed for the region but also fish, birds and all manner of wildlife for game, food and tourism. Today it is a dry desert and, much like the dry washes of the Southwest United States, a permanent path for sudden onrushes of water doing far more damage than good. To add insult to injury, agricultural waste water used by Iranians near the Iraq border in the south of Iraq is improperly flooding very near the Iraq border instead of running into the Arabian Gulf as it should and would if Iran was not in near-chaos of its own. This toxic water is held back by only the most rudimentary berm built as a stopgap solution. The Iranian waste water continues to run into the area with no sign of stopping soon. Should this water crest the berm or should the berm break, there will be waste water flooding throughout Basra Province like a car racing on a highway of the dry marsh beds. Severe damage to the oil fields as well as laying waste to any agricultural work being done will surely result. Domestically, Iran is a near basket-case – especially in the areas near Iraq’s southern border. It is incapable of properly addressing this problem and, unless the water finds its way to the Gulf on its own, this will be a disaster in Iraq purely of Iran’s creation. Iran’s continued disregard for Arab Iraq is becoming a situation that must command the attention of international bodies. The intolerable situation created over the water shortages throughout Iraq are not only bringing discordance to Iraq’s daily life but are spilling over into other sectors as well. In my humble opinion, whatever sanctions the US has against Iran and Turkey should be more stringent and quadrupled.